As it turns out, the local dye, Goldenrod (Solidago), in Ontario, has 30 different species! Who would’ve thought? 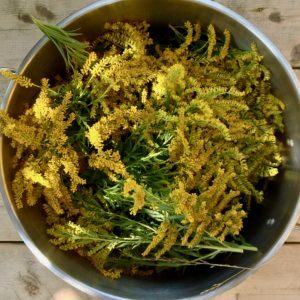 Goldenrod is an invasive, natural plant in this province in Canada, one that is often mistakenly blamed to cause seasonal allergies. This is not the case-the culprit is actually a variety of regional plants that have very fine pollen grains that are carried by the wind. Goldenrods, on the other hand, have heavy pollen, which do not travel by wind. They are carried by bees, hornets, wasps, beetles). While I haven’t identified the types of Goldenrod which I used to dye with, one is for sure, Canada Goldenrod! 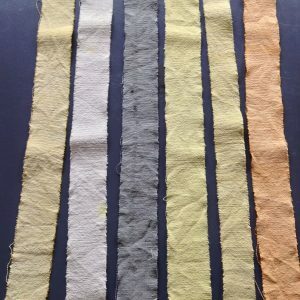 I have used Goldenrod dye previously, with positive results. 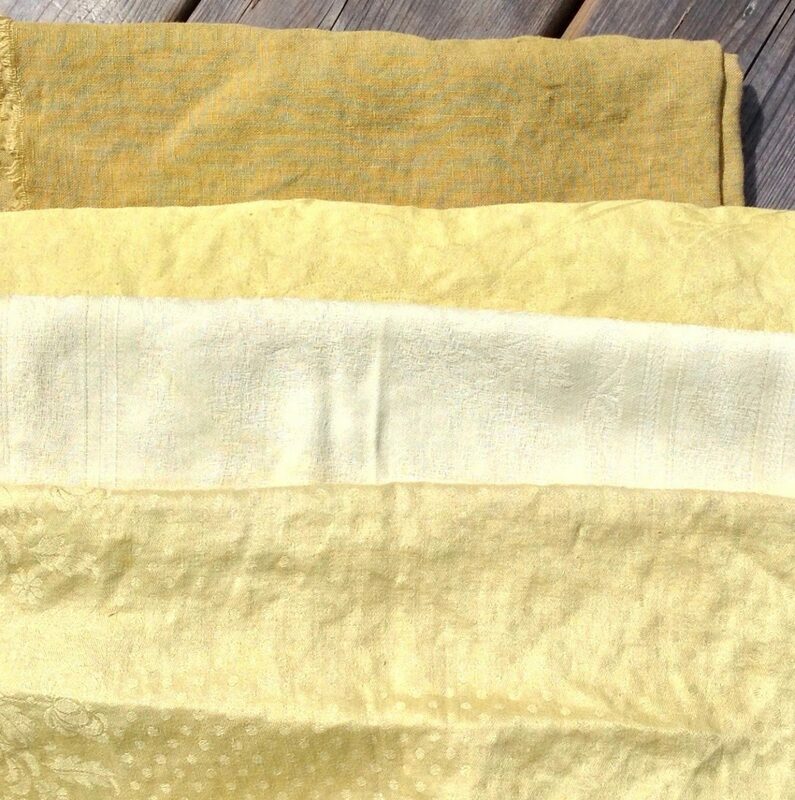 This Fall, I dyed several fabric items including: up-cycled cotton table napkins and tablecloths, and a short length of linen fabric bought in a textile store, which was beige in colour. 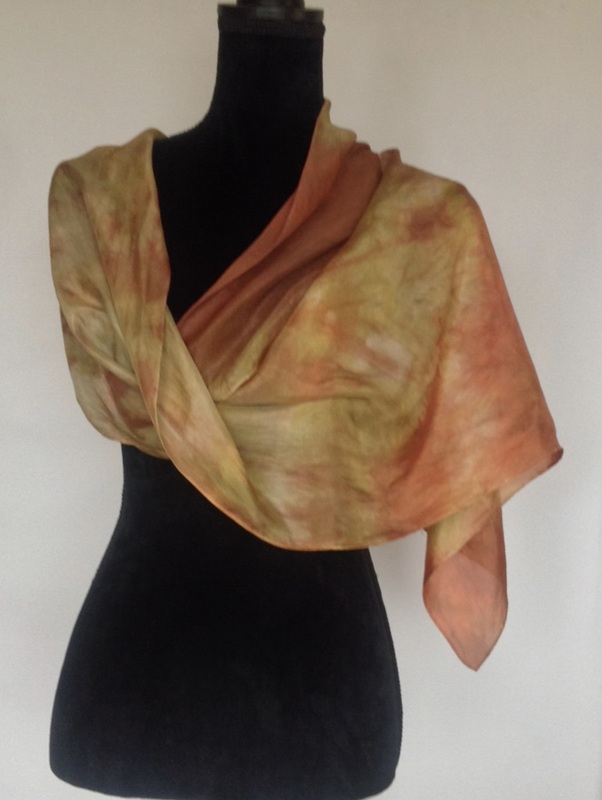 Part of the reason for the colour variation is the fabrics’ reaction to the tannin (Tara) and the fabric itself. 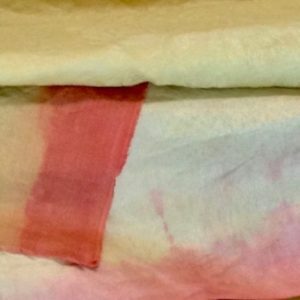 Different weights of cotton can produce very different results, even if they are mordanted in the same way. 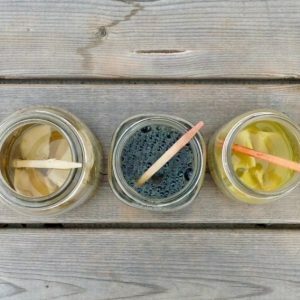 Adding different mordants to a dye can change the colour! In the image below, I used the following mordants/modifiers, L to R: soda ash, citric acid, iron powder, alum, au naturel and titanium oxalate. Now, I have dyed some of these fabrics further, with Madder. As well, I will be trying various applications, such as botanical printing and mordant paste stencilling. 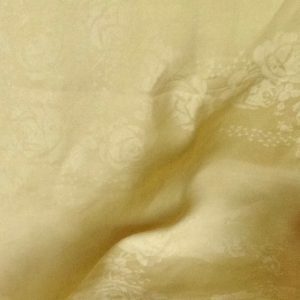 In the meantime, I have made another batch of Goldenrod dye, which I have put into freezer bags until I am ready to use it!